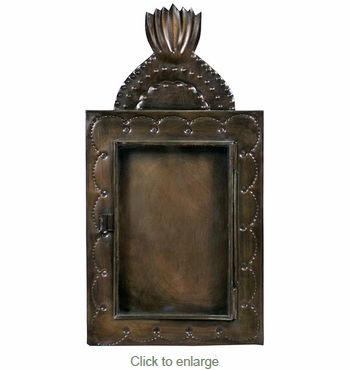 Our Mexican aged tin shadow boxes feature a hinged glass door and are perfect for holding those special treasures. The traditional Mexican designs will compliment any southwest, Spanish colonial or rustic theme. All of our aged tin home accents are authentic creations handmade by artisans in Mexico. Expect some variations in color, design and size.